George Soros Cuts Another $1 Million Check To . . . Recently, anti-gun billionaire Michael Bloomberg announced he would spend $80 million in 2018 — much of it earmarked for Georgia — to install anti-gunners into office across the country. Last week, left-wing billionaire George Soros doubled down, announcing he’d cut ANOTHER $1 million check — to the Georgia Democrat Party. 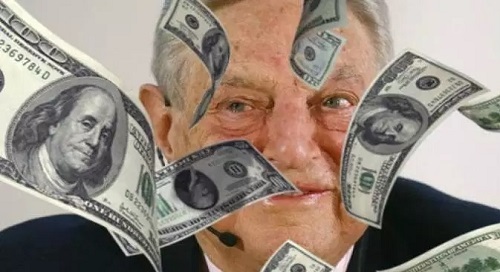 In total, Soros has forked over more than $3 million (that we know of) in Georgia since 2014, with millions more to come. The battle lines are drawn — it’s grassroots supporters (you and I) versus out of state billionaires hell-bent on eliminating your Second Amendment rights. With next week’s Republican run-off election rapidly approaching, it’s vital Second Amendment supporters get it in gear . . . NOW. Soros and Bloomberg will hire thousands of paid left-wingers to walk door-to-door to turn out the vote in November. They’re banking on you believing that 2018 will be a “bad year for conservatives”, and that you’ll just sit this one out. If you do, they’ll win. That’s why I’m encouraging you to not only be active, mobilized, and involved, but also join or renew your GGO membership today. Thanks — in advance — for your support. Can You Ever Really Trust A Politician?